Lessons start promptly so please insure you arrive at the pool 15 minutes prior to your lesson start time. This will ensure you have enough time to get both you and your baby changed and on poolside for a hassle free start. Classes are tailored to the size of the pool. The maximum number of babies in each class is 9, although we may limit the numbers at smaller venues. Due to the small size of the pools we only allow one adult in the water per child. The only exception to this is at Cedars Health Club in Richmond where wetsuits are required. If your baby is unwell or has an ear infection or cold then please do not bring them swimming. If your baby has had a stomach bug you should wait 2 days after the first solid movement before going swimming. We are happy to accept babies into classes before they are immunised, but we insist that this is your decision. Any concerns should be discussed with your GP or health visitor or visit the NHS website. Sadly we cannot allow video or stills photography poolside at any of our venues. 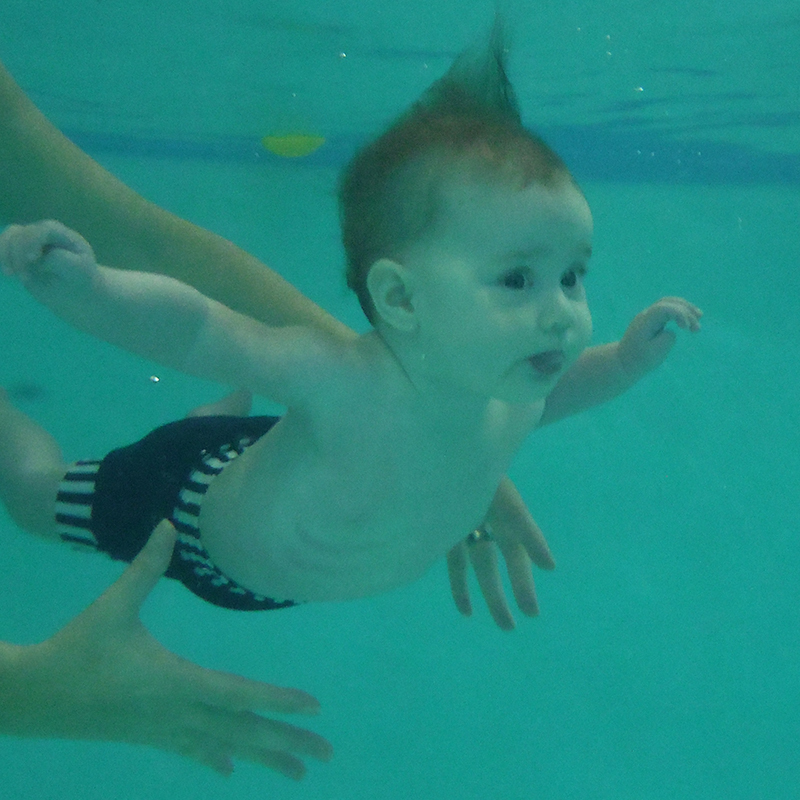 However you will be given the opportunity to have underwater photos taken of your baby during the term with your regular instructor.